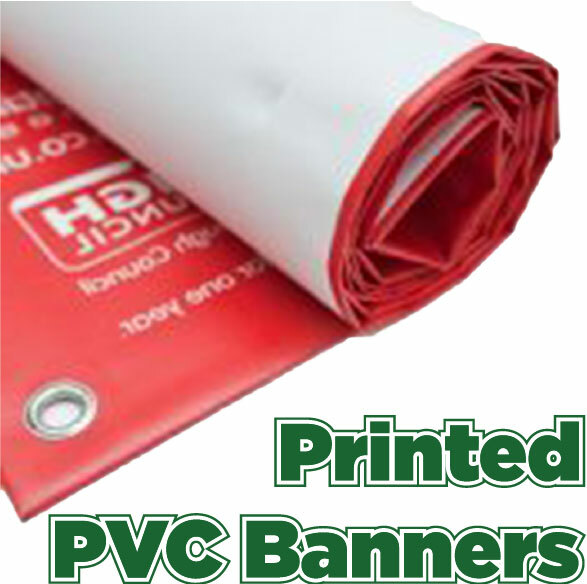 All our PVC banners are printed at high resolution for quality print. The inks are full solvent UV stable and waterproof for maximum external life and your banner comes complete with hems and eyelets for easy fixing. Prices are based on banners printed from artwork supplied. Popular sizes are shown below but please contact us for any other dimensions you require.